This easy to use cash register records transactions in 16 departments, tracks sales of up to 8 clerks, and has 200 price look-up capabilities. 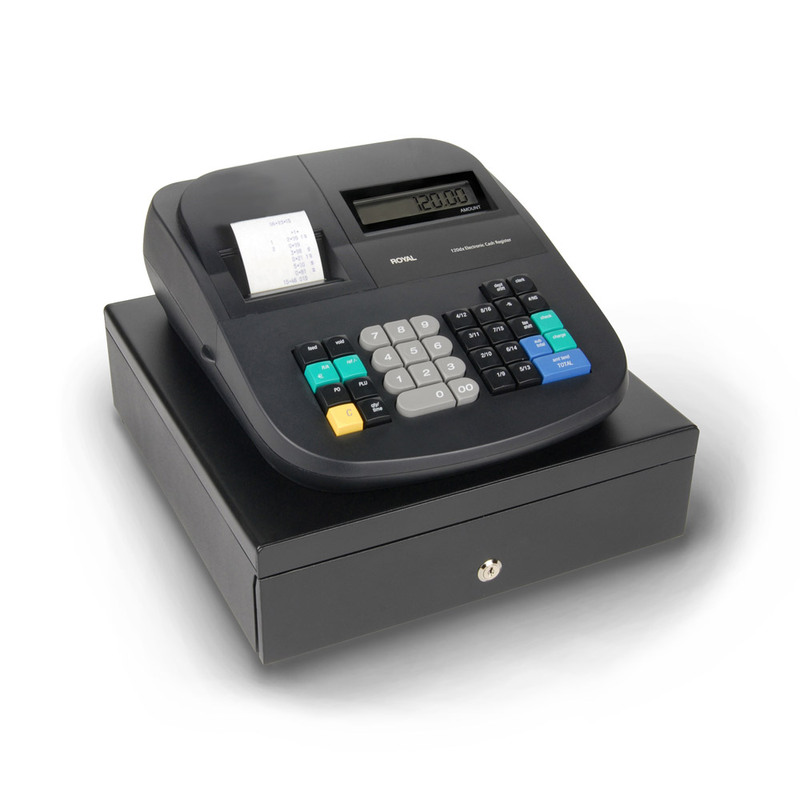 Includes a single station numeric impact printer, locking cash drawer - with 4 bill/4 coin slots. Processes 4 tax rates and has a built in battery for memory protection.